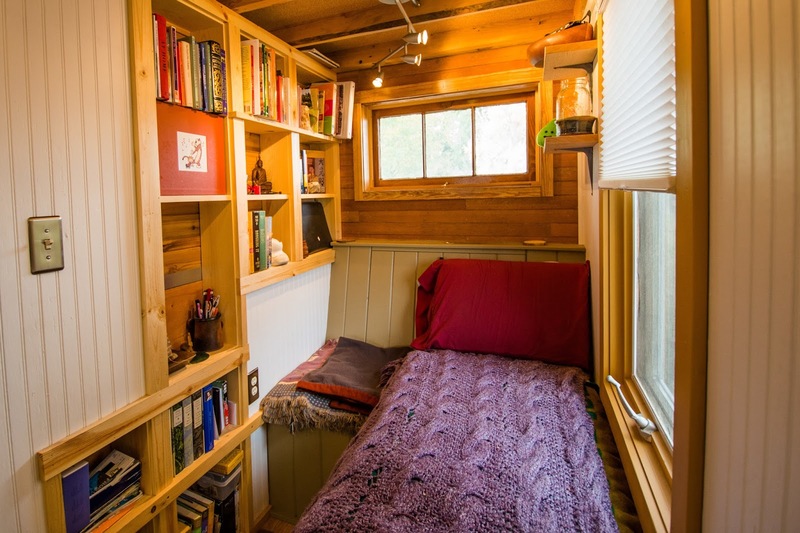 The perfect tiny house for book lovers! 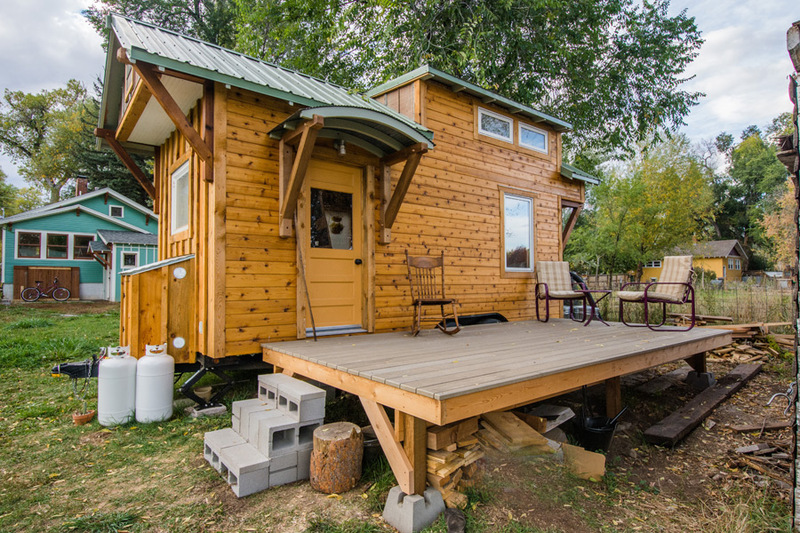 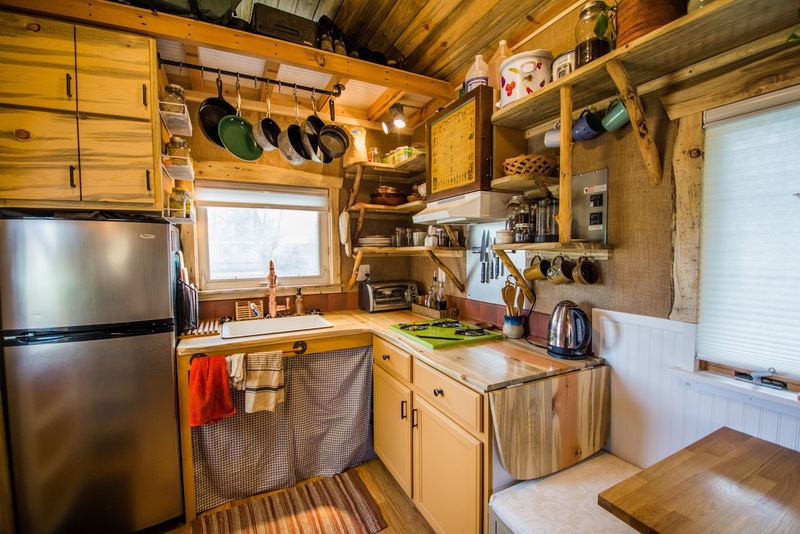 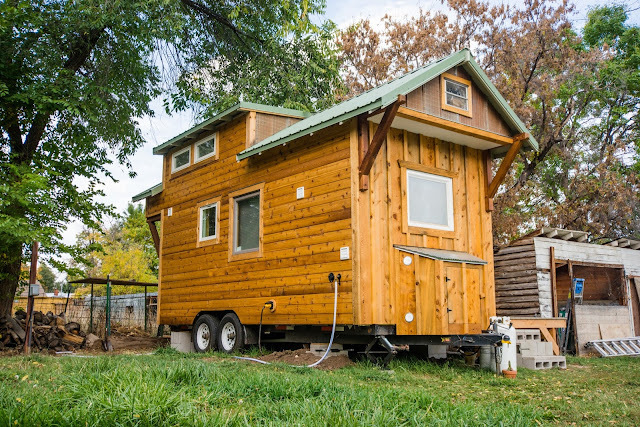 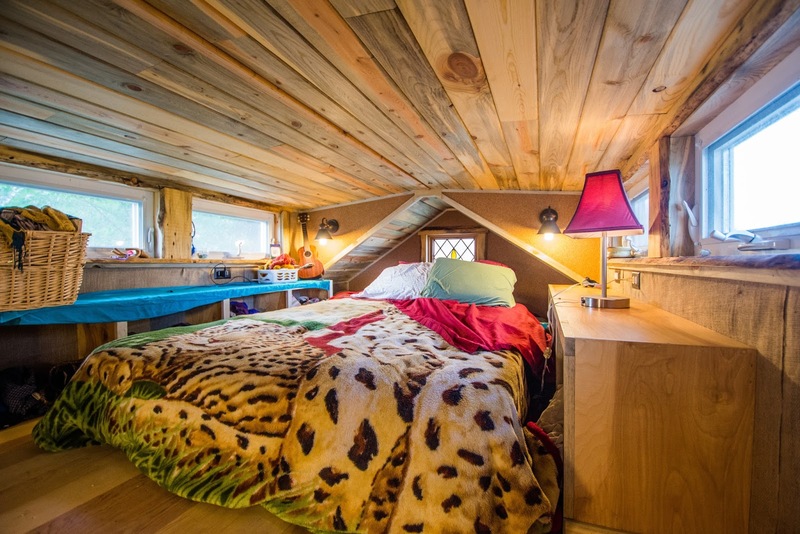 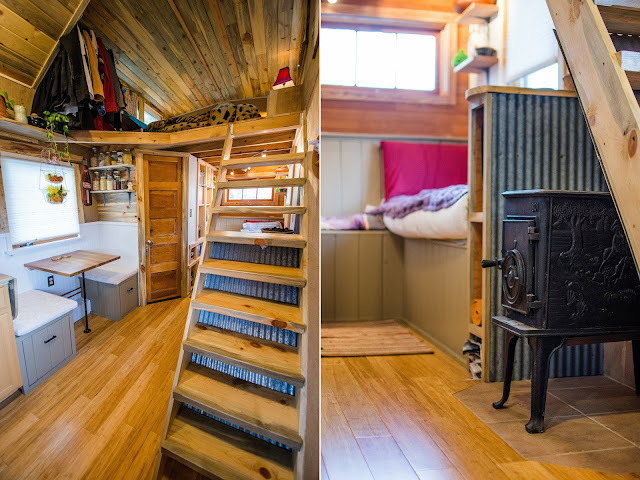 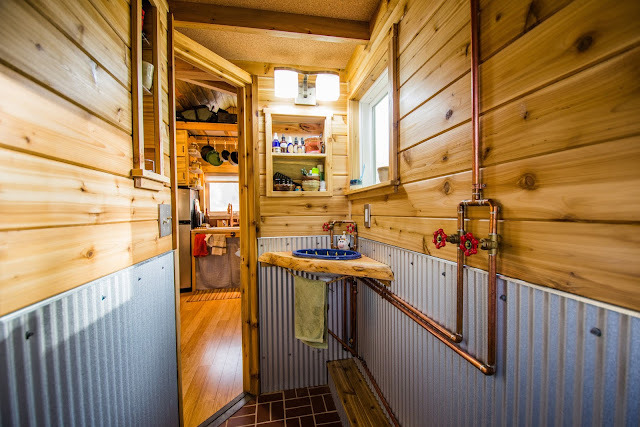 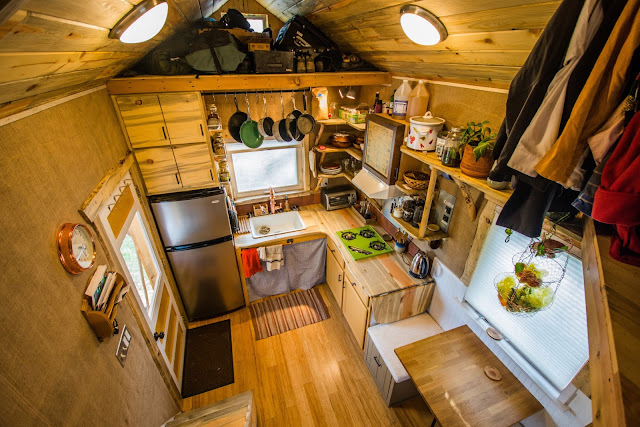 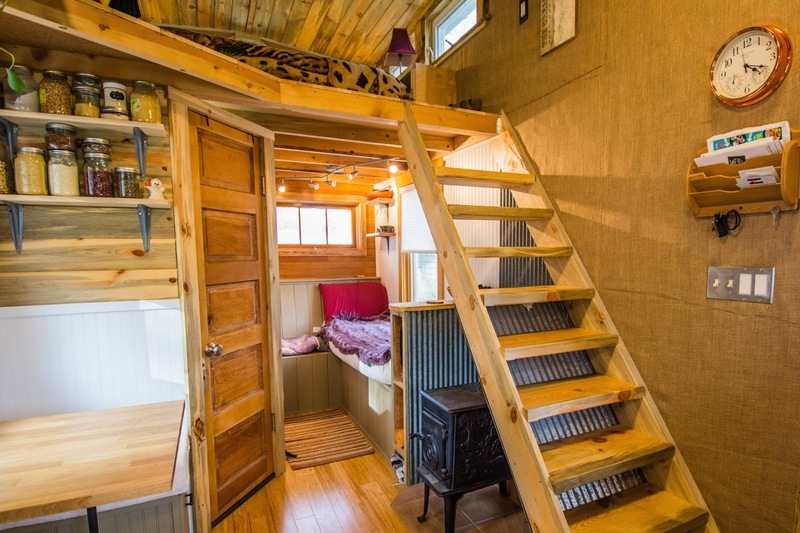 Aptly named the “Bookworm”, this 160 sq ft tiny house is by MitchCraft Tiny Homes of Fort Collins, Colorado. The home features a unique home library with plenty of shelving for book space, and a comfy sofa (that can be transformed into a bed!) to curl up on and read. 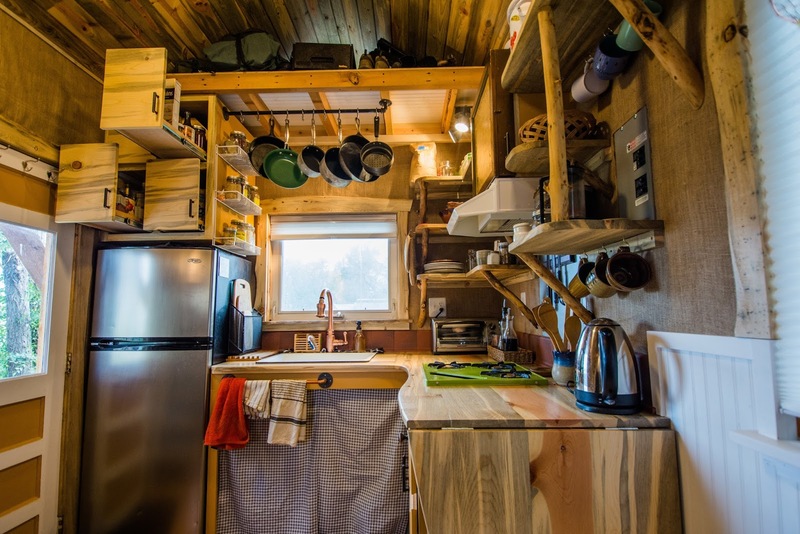 There’s also a kitchen, dining/work space, living room, full bathroom, and a loft bedroom. 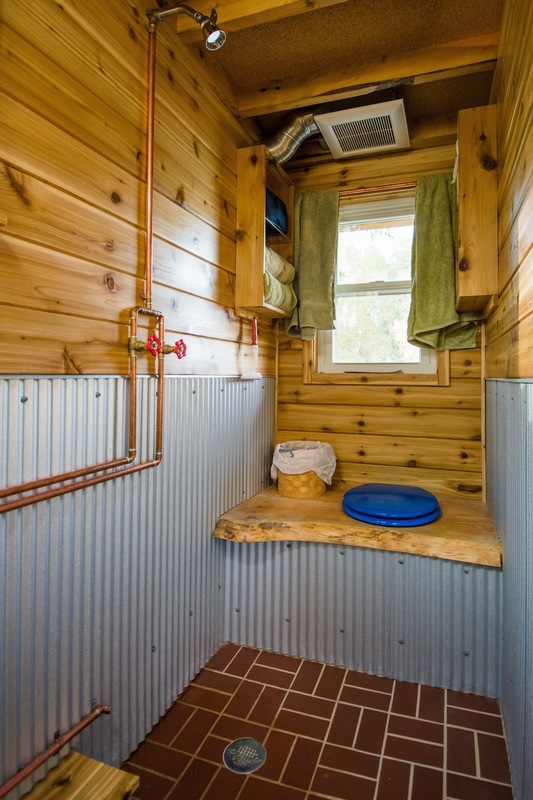 MitchCraft offers the home in various sizes, and various levels of completion. A turnkey model of the Bookworm, in the size pictured here (8’ x 20’), sells for $43,000. 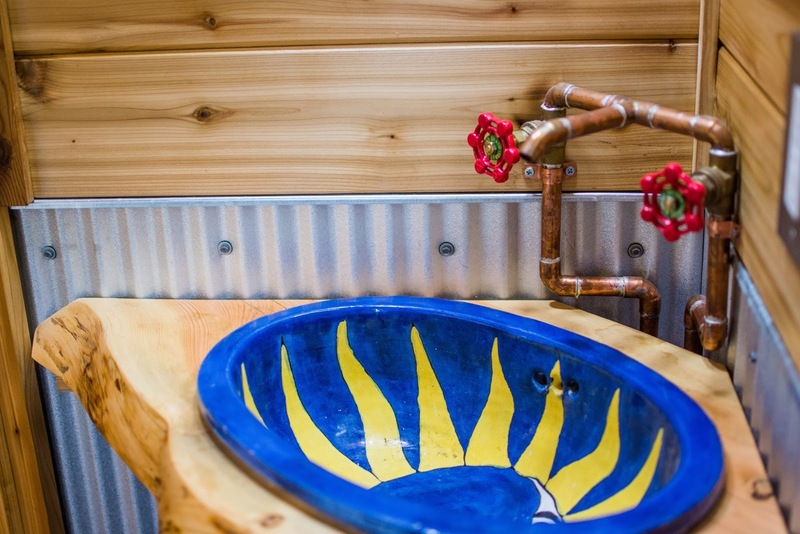 Be sure to check out MitchCraft’s website for more pricing info.